Join us for the screening ‘Freelancer on the Frontlines’ which follows the life and work of journalist Jesse Rosenfeld, followed by a Q&A with Jesse himself. Canadian freelance reporter Jesse Rosenfeld has made the Middle East the focus of his work, and to make a living he has to keep up with constantly moving news targets. 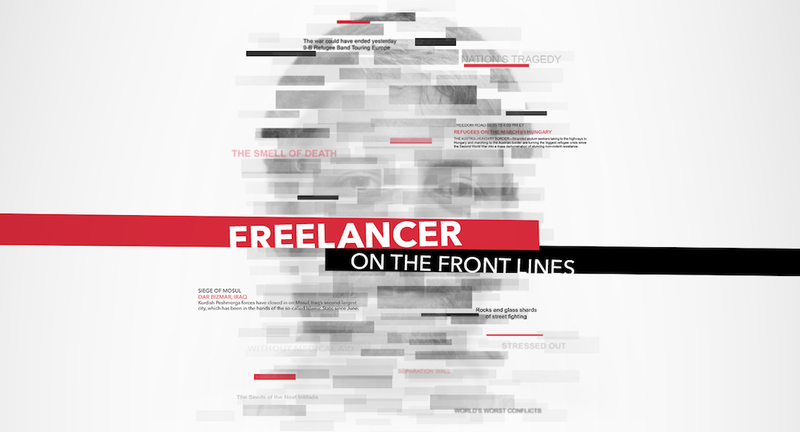 Freelancer on the Front Lines follows his journey across the region, showing us thorny geopolitical realities shaped by the events transforming the Middle East and exploring how journalism practices have changed in the age of the internet. Whether covering the dashed hopes of the Egyptian revolution, the upheavals in the Israeli-Palestinian conflict from Ramallah or Gaza, the reality of refugee camps in Turkey, or the faultiness of Iraq’s bloody divisions, the man is on a mission to share the issues on the ground with his readers. But to cope with the new communications jungle, choose the subjects he wants and make the front page, he must set himself apart from traditional mass media. Rossalyn is an award-winning foreign affairs journalist. Her reporting has been published in The New York Times, Washington Post, Guardian, BuzzFeed News, VICE, CNN, BBC, ELLE, Newsweek, and Teen Vogue, among other places. She’s reported from 15 countries across Latin America, Europe, and Africa, and her reporting has been nominated for an Orwell Prize and a British Journalism Award. Rossalyn was named news reporter of the year at the 2016 Words By Women Awards, and she was shortlisted for new journalist of the year at the 2015 British Journalism Awards. Forbes named Rossalyn ’30 Under 30′ in media in Europe.